Unitech’s innovative and rugged PA968 mobile computer is designed for workers outside your four walls. Utilizing the built-in GPS tracking system with InstantFix and 3.5G (including HSDPA) wireless capability, the PA968 can quickly and seamlessly transmit collected data to a server and enable tracking and tracing whenever it may be required. Powered by Microsoft Windows CE 5.0 or Windows Mobile 5.0, the PA600 is designed for users who need a compact, yet durable PDA for data collection and real time transactions. Perfect for Retail, Healthcare, Sales Automation, and Field Services, it will enable you to select the features best suited for your business. Sleek and lightweight, the MS830 withstands multiple 5-feet drops onto concrete floor, thanks to its surrounding rubber nose and bumper. Its high speed scanning, low power consumption and effective depth of field, make the MS830 series suitable for a wide range of applications. The HT580 is Unitech's smallest handheld mobile computer. Ideally suited for retail markets or small businesses, this compact device features a cell phone –style look and feel. Integrated with a CCD barcode scanner, the HT580 has the capacity to store up to 50,000 records. You can streamline your own custom application development using the Unitech EasyJob Application Generator Software. This easy-to-use programming tool helps users create programs to meet the demands of their unique business. The HT660 is a rugged device that streamlines workflow using Microsoft CE 5.0 Professional Operating System. Perfect for one-handed operation, the slim design is durable enough to handle data collection in scan intensive environments such as manufacturing, warehousing, retail, and transportation. Equipped with a 1D laser scanner, QVGA touch screen, 36-key keypad, SD Card Slot, Bluetooth, WiFi, and a 12-hour battery life, the HT660 a versatile workhorse. Designed for enterprise applications, the PA500 Compact Enterprise PDA is a powerful mobile computer with a 520MHz Intel PX270 processor. The built-in 802.11b/g and Bluetooth Class 2 connectivity replaces the need for separate GPRS connections. Data is easily captured via laser scanner or touch-screen keyboard. The PA500 comes standard with a SDIO expansion slot and an integrated microphone and headset jack to support VOIP communication and voice recognition applications. More rugged than a standard enterprise PDA, yet small and lightweight making it the ideal choice for shop floor staff, restaurant order entry, retail inventory control, and healthcare applications. Powered by Microsoft Windows CE 5.0 or Windows Mobile 5.0, the PA600 is for users who need a compact, yet durable PDA for data collection and real time transactions. The PA600 comes equipped with a large color LCD touch screen, integrated laser scanner, 18-key keypad, 520MHz processor, Bluetooth, WLAN, and WWAN available. Designed to meet the demands of today’s applications such as Retail, Hospitality, Healthcare, Sales Automation, and Field Services. The PA600 is small in proportion, but is extremely powerful and durable, with the ability to withstand 4-foot drops to a concrete floor and an IP64 rating to resist dust and water. Business productivity and efficiency is the irresistible force driving Enterprise to adopt mobile tools. The Unitech PA960 was specifically designed to increase your productivity in the warehouse, on the road, or in the field - by dynamically linking data collection and host systems. Equipped with 36 keys, the Unitech PA966 can easily toggle between full alphabetical input, functional input, or numerical input - perfect for PDA-type Mobile Computer users who want a direct way to input text or functions. Or, use the PA966’s built-in 1D bar code scanner or 2D image scanner for fast and accurate data capture. The PA966’s touch screen can be used for navigation and the input of graphical data such as sketches or signatures. Equipped with ergonomic gun grip and 36 keys, the Unitech PA967 can easily toggle between full alphabetical input, functional input, or numerical input - perfect for scan-intensive applications, the PA967 Mobile Computer provides a direct way to input text or functions. The PT630D Mobile Computer is designed to meet your demands in various applications, ranging from Transportation and Warehousing to Mobile Sales, Field Service, Retail, Meter Reading, etc. Rugged and durable, yet weighing less than 250 grams, the PT630D is easy to handle. Unitech Portable Terminals provide a simple no-hassle way to collect inventory information and later upload all your data to a host server. Unitech Portables have gained a well-deserved reputation for toughness and ease of use. Unitech approaches wireless data collection in a modular way. 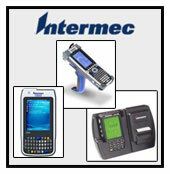 Many Unitech portable terminals feature a built-in PCMCIA slot so you can choose your favorite wireless card. That way you can have the wireless solution that works best for you. When you've got lots of assets, you need a professional way to track it all. And because your assets are probably in lots of different places, Unitech makes portable terminals that are lightweight, rugged, easy to use, and wireless capable. Getting everyone out in the field and in constant contact is just another day at work for Unitech portables. Using the popular CE.Net or PocketPC operating systems, and a wide variety of wireless solutions, rugged Unitech portable data terminals maximize your sales force's efficiency. Keeping accurate track of your sales and inventory is one of the keys to retail success. Unitech POS keyboards and scanners make you look great while keeping your customers happy. Time is money - and Unitech fixed terminals are a valuable tool in getting control over both. Programmable, rugged, and versatile, Unitech clocks are designed to meet your requirements for Time & Attendance, Loyalty Programs, and Work-In-Progress applications. Get in - get the data - and get out. That's the world of Utility Meter Reading. And of course it has to be done as quickly as possible and with perfect accuracy. That's where Unitech data collection solutions come in.